Gears of War 3's lead gameplay designer Lee Perry told Eurogamer at E3 today that the development team is not currently working with Microsoft's motion control peripheral. "There's definitely interest in terms of looking at [motion controls] in terms of what is a fit for us," he said. 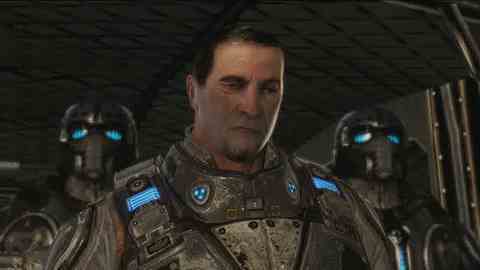 "Personally I don't think I've seen any one thing that's been like 'that's what we need to make an amazing Gears IP'. I think there's a lot of potential in a lot of different systems. There's a lot of stuff to explore but we haven't nailed anything down. "I don't think as a studio we'd ever force anything out there that we didn't feel actually did the world true, but that's not to say that any of the things out there might not make for a great project, it's just not what we're doing right now." Last November, speculation pointed to a planned reveal of a Kinect Gears spin-off during the annual Spike TV GMA event, though nothing ever materialised. Gears of War 3 lands on Xbox 360 later this year. Remind yourself of the new E3 trailer below.